For Peaceful Nights and Happy Days ! LambSkins are a must have for baby. Soft wool fibres are a delight to touch. Calms and soothes babies. Helps comfort colicky children too. Nature’s insulation. Wool keeps baby warm and cozy in cold weather. In warm weather, wool absorbs moisture, which is then released into the air ensuring baby stays drier and comfortable at all times. 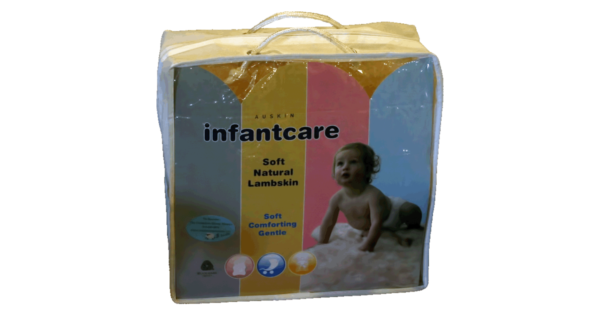 Young travellers will feel secure in unfamiliar places with their Babycare Lambskin. Use Babycare everywhere, everyday for years. 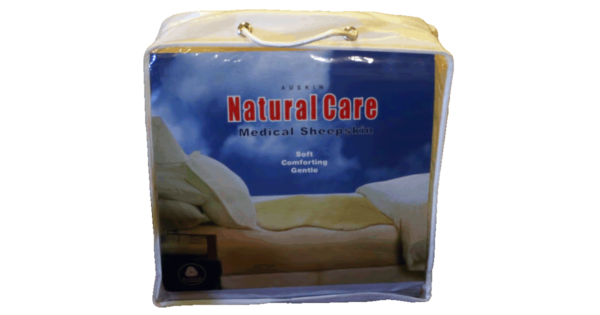 Babycare Lambskins are sanitized to ensure protection against bacteria through many washes. Baby’s favourite lambskin makes a great play rug. Keeps baby and friends off cold floors too. LambSkins are produced solely as a by product of the meat industry which, instead of being discarded, are recycled into an attractive and useful product. Each Lambskin is approximately 32-41″ by 19-22″. Available in either the natural which has a pile height of approximately 1.6-2.7″ (great for a cozier feel and is more plush) or the shorn which has a pile height of approximately 1.4″ (excellent for newborns and is easy to clean). Shorn Lambskins are recommended for newborns and each child should always be layed to sleep on his or her back when laying on the Lambskin.